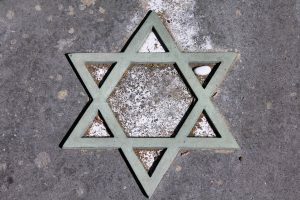 Losing a loved one is the most difficult time for any of us and immediately we are faced with having to deal with the various processes that are required by both Jewish and English law. The following is a guide to help you through this and please be assured that both the United Synagogue Burial Office and we here at HGSS are here to help you. Firstly you should contact the United Synagogue Burial Office – 020 8950 7767. Their office is staffed throughout the week and on Sunday mornings. There is also an out of hours service – details of which will be available on their answerphone message. You may have to make a second call but there will always be someone to speak to. Please also call the Shul office 020 8455 8126, choosing option 0 and leave a contact phone number. Obtain a death certificate from the doctor or hospital, stating the cause of death. Take the death certificate to the Registrar for Births and Deaths. It must be the Registrar in the vicinity where the death occurred. Phone the Burial Office once you have been issued with the relevant documentation. The Burial Office will advise what to do next. Once funeral arrangements have been made the Burial Office will liaise with the Rabbi and Shul Office who will assist with every aspect of the funeral and shiva including providing shiva chairs and prayer books. The Rabbi will of course be available throughout to support you and guide you through the arrangements for the funeral service and shiva. The office will send out a notification to all members to advise them of the bereavement and relevant the arrangements.